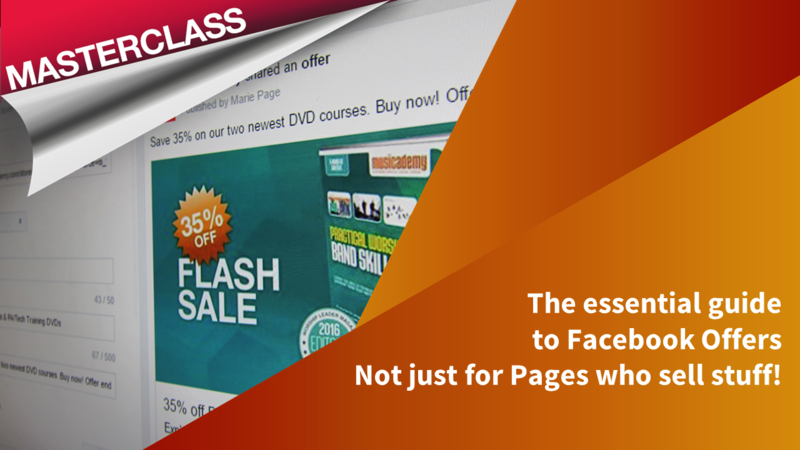 The essential guide to Facebook Offers: they aren’t just for Pages that sell stuff! Facebook Offers are a relatively unusual content type that get great viral reach and additional awareness of sales, special offers and discounts. But they aren’t just for e-commerce brands. Bricks and mortar brands can use them too as can service organisations, charities and even Pages that explore an interest topic. This 22 minute Masterclass looks at a number of different offer types and teaches in a step-by-step manner what you need to do to create “organic” offers and ad offers. It looks at the new features rolled out in summer 2016 and advises on best practice as well as some Digiterati hints and tips.